During the mission, the Basque Energy Cluster and Merinova, as part of REINA PLUS ESCP, had the chance to represent REINA PLUS at the Chilean event within the ELAN programme (European and Latin American Business Services and Innovation Network) and the Expo ERNC, the first International Trade Show for Renewable Energy in Chile. From 23 to 27 October, the REINA PLUS ESCP coordinated an entrepreneurial mission to Chile with three companies of the sector who have business interests in the Andean country: AEG, INGETEAM, MERYTRONIC, JUKOLUX, Savonia University of Applied Sciences, Teraloop, University of Helsinki, University of Turku, VEBIC, VTT. 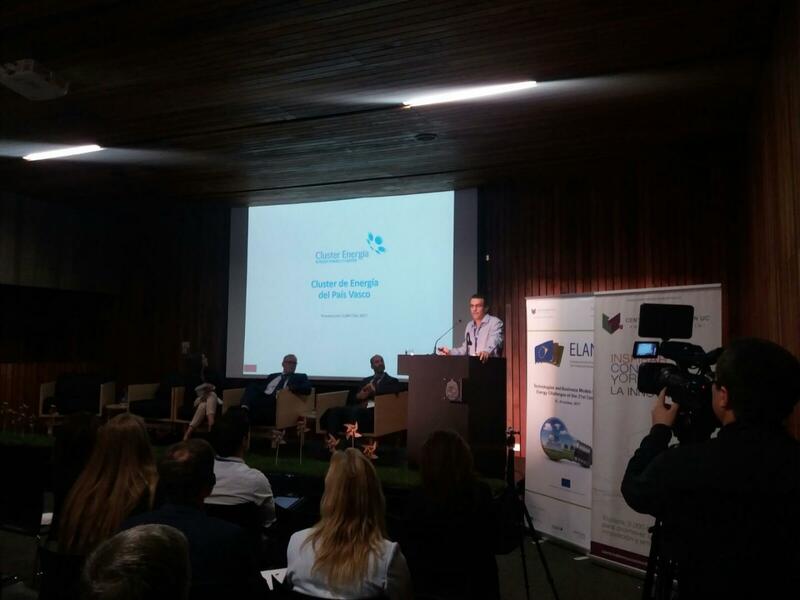 During the first two days, REINA PLUS ESCP was represented by the Basque Energy Cluster and Merinova at the B2B and matchmaking event hosted by the ELAN consortium, of which TECNALIA is one of its members, under the title “Technologies and Business Models to Face the 21st Century’s Energy Challenges”. OCEANTEC also participated at the event as a speaker, presenting their experience in the field of wave power converters, an area in which Chile has one of the best energy resources of the planet. Similarly, within the framework of the Expo ERNC, the Basque Energy Cluster organised, in collaboration with TECNALIA and the Anacleto Angelini UC Innovation Centre, a meeting with representatives from the four main electric distribution companies of the country (CGE, CHILQUINTA, ENEL, and SAESA). At the meeting they shared the main strengths and experiences of the Basque electric sector in the framework of smart grids. Their presentation focused on matters of global interest such as storage, integration of renewable power, the deployment of electric vehicles, and automation and digitalisation of transport and distribution networks. The meeting also welcomed Chilean representatives of companies belonging to the Basque Energy Cluster such as ACLARA, ELDU and SENER.